Having already been on broadcast news and newspapers to account for what he now said was a regrettable move, Ramaphosa Jr posted videos on Twitter on Sunday with his version of how the deal with Bosasa came about and what happened to the money paid to his company Blue Crane Capital. He wrote in the Sunday Times on Sunday how he met and went into business with Bosasa. "In 2016, my company Blue Crane Capital had a vision of introducing smart-city solutions in key African centres. We needed a technology partner to supply the hardware and an implementing partner with strong operational capabilities. That’s how we entered into a business relationship with Africa Global Operations (AGO), previously known as Bosasa." Bosasa, which was rebranded as AGO months before it started making monthly payments to Blue Crane Capital, has been in the news after it was alleged at the Zondo Commission into state capture that the company has been paying some ANC politicians and party leaders in return for ensuring that it continues to score government contracts. 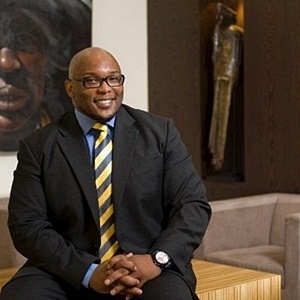 It was also reported that it has not only been financing the ANC but also donated R500 000 sponsored Ramaphosa's party presidential campaign in 2017 about two months before signing an advisory agreement with his son's company. Ramaphosa Jr explained in the Twitter video that money received from AGO was meant for business projects. "It was not money for me, it was money for the business. I, myself, am an employee within the business, a managing director of the business," he says. The video is captioned: "Andile Ramaphosa unpacks the work done with AGO & what the R2 Million retainer covered, clarifying the absence of any corruption. Hard lessons have been learnt." He details some of the projects his company was involved in. "Up until the period where we had signed the contract (with AGO), obviously Blue Crane was working throughout that period in terms of developing the pipeline further. And what I mean by that is actually working with clients and developing specification in context of how they wanted to see our v-size model or smart city model deployed in terms of their requirements," Ramaphosa Jr says. As the work scope increased, his staff size grew and he required more resources. "Then that’s when our retainer kicked in and we worked together." He said his company has already completed a project for an oil company and had incurred costs as a result "and obviously now we have to find a new partner because of what occurred". He says that the R2m that was received by Blue Crane through the period of 12 months was deployed towards resourcing projects led by his company. According to Ramaphosa, the money was used to finance his company's projects. "I want to categorically state it (money from Bosasa) was not a gift or a favour...we have work done and these projects exist," he says. News24 reported this week how in December 2017, Blue Crane Capital signed an "advisory mandate" with Bosasa, resulting in it being receiving a monthly retainer fee of R150 000, which was later increased to R230 000. Ramaphosa Jr, in an interview with News24, previously expressed his regret at the move. "It was a severe oversight on our part," he says of the glaring red flags he claimed to have missed before putting pen to paper. "It is clear now with the benefit of hindsight that our due diligence was insufficient in retrospect of my father's role going into the Presidency," Ramaphosa Jr said to News24 in a written response to follow-up questions.